Making decent synth music is not as easy as it looks. But that may change with the release of Performer, an iPad app from Konkreet Labs that lets would-be Daft Punks use their fingers to make techno soundscapes. 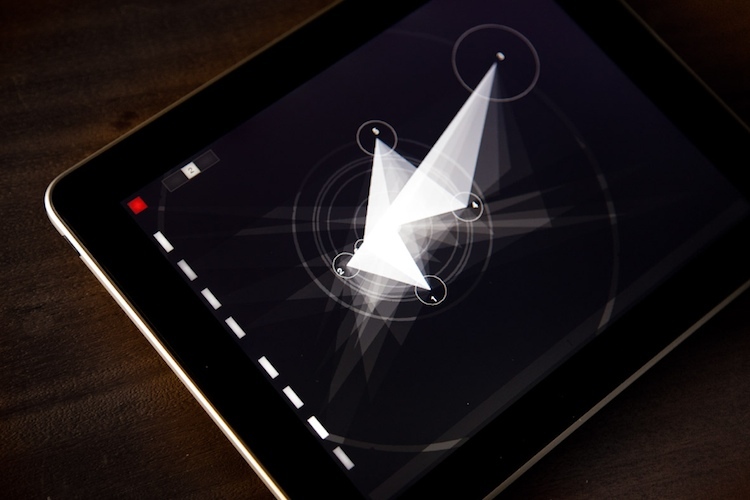 Think of it like your iTunes screensaver in reverse: instead of turning your music into beautiful abstract shapes onscreen, Performer lets you drag and skew the shapes to make music. One caveat: you have to actually have musical instruments for Performer to control (it connects to “anything that receives OSC or MIDI inputs,” according to Konkreet). So this app isn’t necessarily something you’d download casually to kill time between episodes of Glee — as if you couldn’t tell from its $24.99 price tag. But if you’re equipped to handle Performer’s pro-level requirements, you’re in for a mindblowing interface experience. As Creative Applications breathlessly writes, “The heart of Performer is the control object, an abstract graphic element, made out of up to 10 nodes. Zoom, turn, throw, distort and reshape it across the screen,” and listen as your synthy symphony bursts into being from your fingertips. Konkreet calls it “Performer” for good reason: hook this thing up to a giant screen at your next DJing gig, and you may find yourself fielding offers to score the next TRON sequel.